Subluxation is a misalignment of the vertebrae, which causes compression, irritation, and damage to the CNS (Central Nervous System). It causes the organs and muscles of the body to malfunction and heal poorly due to the interference it creates within the CNS. Subluxations are caused by a lifetime of stress and trauma to the body. Slips, falls, auto accidents, sports injuries, poor posture, bad sleeping habits, stress, lack of exercise, poor nutrition, toxins, and even the birth process can cause the spine to move out of its normal position. In most cases, subluxation is present without symptom or warning. 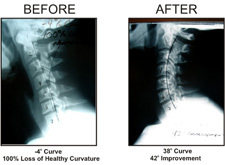 Typically, subluxation has existed for many months, even years, before symptoms arrive. 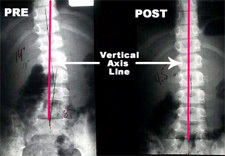 The earlier you find the subluxation, the easier it is to correct. The best way to do this is by x-ray.